16.1h Warmblood mare. 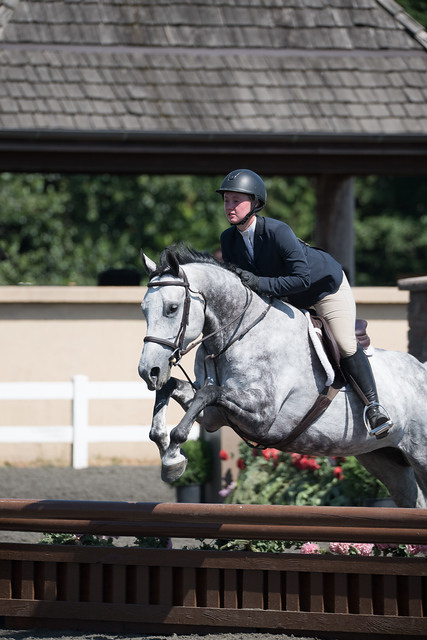 “Lil Fran” has numerous wins in the hunter and equitation ring. This mare has a big, scopey step, tight knees and auto lead changes. 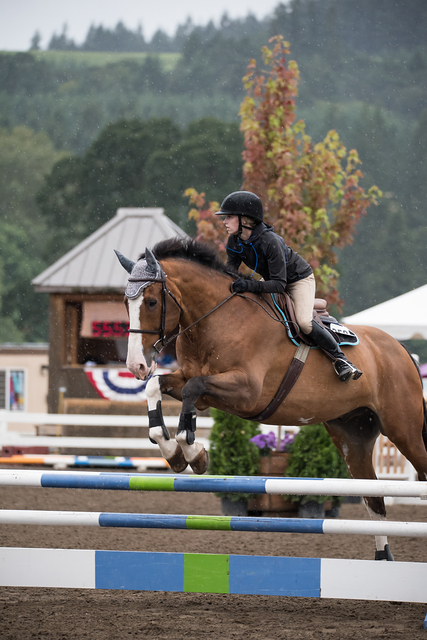 Perfectly suited for any level of rider up through the 3’0 divisions. Available for an in-barn half lease. 2003, 16.2h Shire/TB cross. “Cash” has taken more riders than I count through the ranks. From cross rails to 2’6 this guy is the steady Eddie, often the judges’ favorite in the ring. Cash has taken his riders every year to medal finals, even won a few. He is also a Local Derby Pro, winning at least one a year. Cash is available for an in-barn half lease, or could be for sale. Please contact me directly about sale, this is a special guy!! 1998, 16.2h Cylde/TB cross. “Bailey” is the barn favorite. Competitive in all three rings, this guy is always in the ribbons in the Hunter, Equitation and Jumpers. Perfect to get you a positive, safe, first experience in the show ring. This gentle giant can take you from Trot-A-Pole Champion through the 2’0. He may even get you qualified for Mini Medal Finals this year but, we don’t let this guy jump more than 2’3 on a regular basis. Available for an in-barn half lease. 2014, 16.2h (and growing) WB gelding. “Uno” is a special youngster, who is going to take only the right person. Still very green, this guy got some excellent miles in the Hunter and Jumper rings last year. He is going to grow up to be a three ring horse. Able to move into the 1.0m jumpers this year and has auto changes. He is looking for someone that can take a joke and loves working with babies but can’t quite afford one of their own. Available for an in-barn half lease. 2012, 16.2h Holsteiner mare. “Bloom” got a late start. She had her first year in the show ring last year. 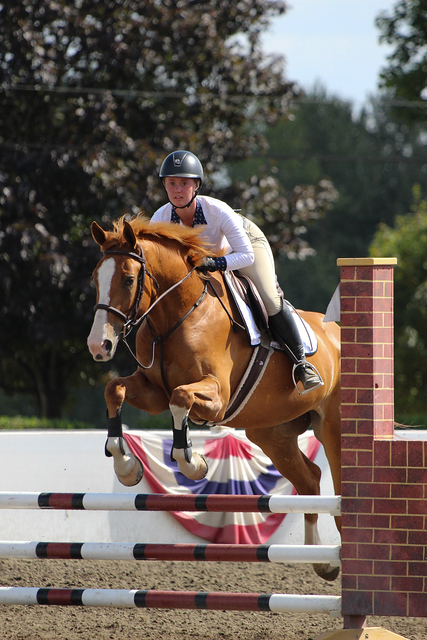 This girl is looking for a more advanced rider to do the jumpers with. She competed last year through the 1.0m jumpers and that is where we would like to start the year. Plenty of scope to do more and auto changes. Available for an in-barn half lease. 1998, 16.1h TB gelding. “Ferguson” is a quirky fella and a jumper through and through. This guy LOVES to jump and is suitable for the Long/Short Stirrup Hunter division. This horse is perfect for a more advanced rider as he refuses to believe that he is 21 this year and still able to do the .95m jumpers. Available for an in-barn half lease.